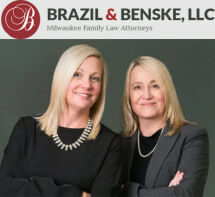 The law firm of Brazil & Benske, LLC is located in Milwaukee, Wisconsin, providing a broad range of legal services to individuals and families throughout Wisconsin. Our firm is a full service law firm, representing and advising clients in the areas of child support, visitation, prenuptial agreements, alimony, adoptions, property division, restraining orders, child custody and placement. Our attorneys represent clients in every level of state and federal courts. To ensure quality representation to all of our clients. To obtain the most favorable result possible, given your circumstances. To fight the fights that should be fought and avoid the fights that should not be fought. To provide open copmmunication of your needs and desires. Our dedication to quality, understanding of the law, trust and respect are the foundation for our long-standing relationships with clients and the community.